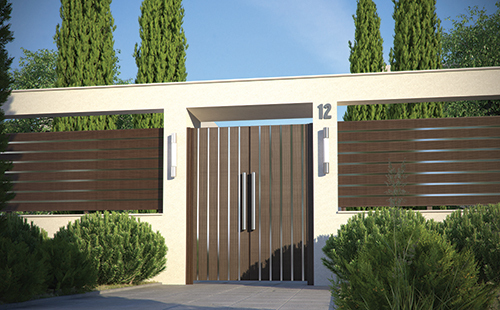 ​Gates are produced to compliment the fences and their selection of models is endless. 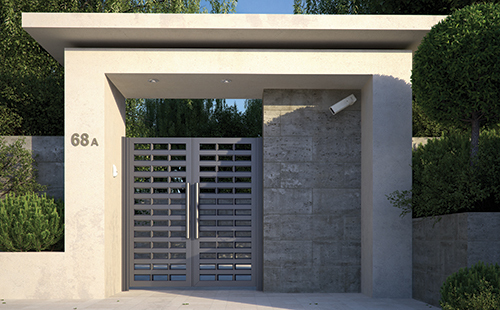 BLIND V Gates made of aluminium profiles in vertical structure combined with inox elements, which renders them a true jewel placed at your house entrance. CUBIC High standard aesthetics and simple lines forming a modern construction. 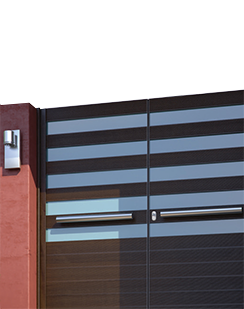 Aluminium profile that may be combined with various materials such as perforated aluminium sheets and polycarbonate sheets. 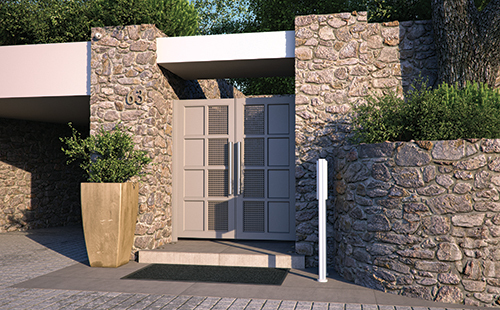 DISCRETE The new generation of aluminium gates providing a solid, modern and discreet solution. 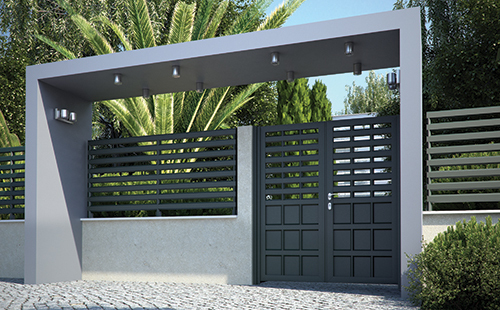 Gates that are easy to assemble and to install and do not need maintenance. 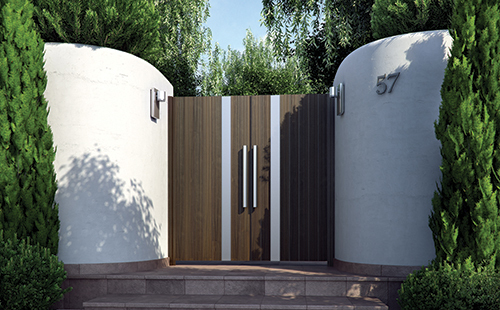 BLIND V Modern designs and countless combinations meeting the needs of modern architectural buildings.